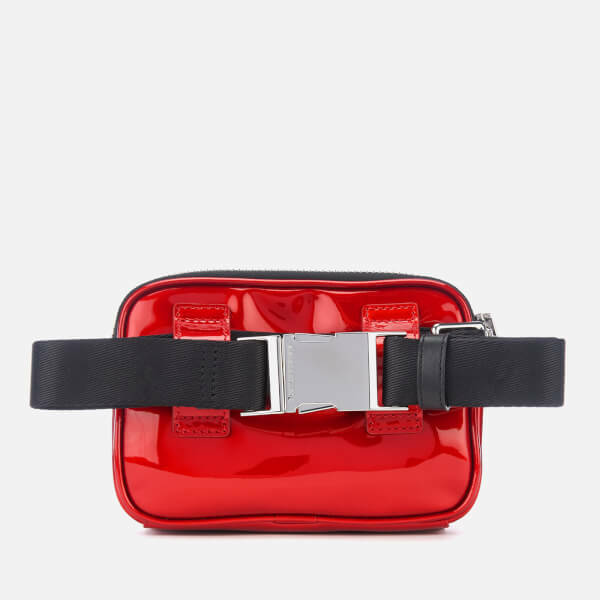 Red leather ‘Attica’ belt bag by Alexander Wang. 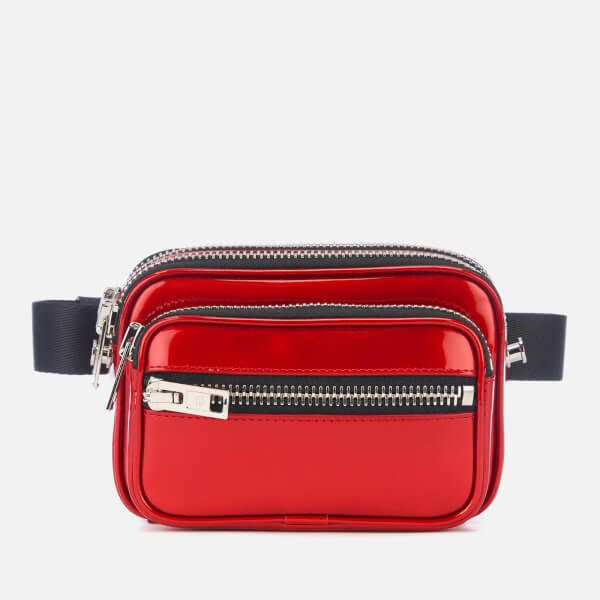 Crafted in glossy patent leather, the compact bum bag is accentuated with a series of silver-tone zips that access the four lined compartments. 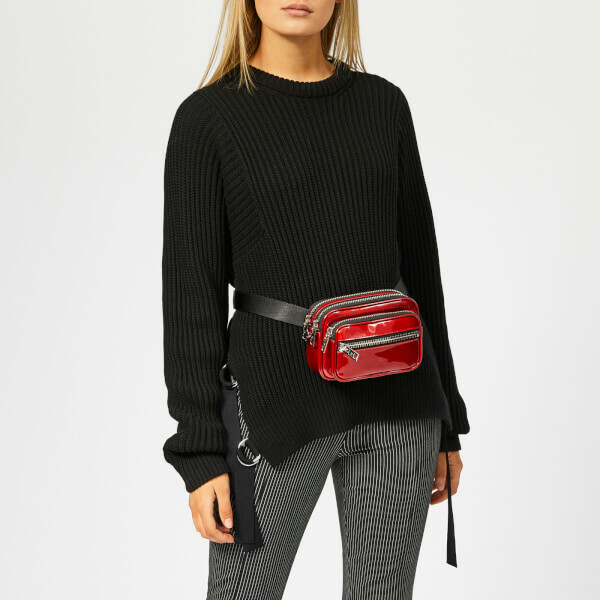 An adjustable webbing strap with a buckle, and a longer cross body strap – both detachable – offer versatile styling. Engraved hardware and foiled branding feature. Protective dust bag provided.